UK and Irish investors just love investing in UK student accommodation. It is one of the Buy to Let (BTL) sectors that has survived what has been the worst recession in living memory for most of the populations of both islands. The problem with any sector that becomes very popular is that it attracts hordes of people and properties that would not have, heretofore, been included in that category under any circumstances. In short, the quality of product available for those considering investing in UK student accommodation can be, to say the least, questionable at times. While investment in UK student accommodation has been a niche market for many years, this is the first time it has been seen as ‘the big thing’ that it is now considered in the UK. It is estimated that £2bn has been routed to the sector in the first three quarters of 2012 alone. Paul Rossiter of Canary Wharf-based PDR Property Solutions says: “Not all student accommodation is worthy of investment. The cheap end of the market targets the domestic student population. This is a segment that is waning according to admissions service UCAS who noted a 10% drop in English applicants for 2012.” With the amount of accommodation already existing for this sector Rossiter feels that this part of the market could be ‘stagnant at best.’ Rossiter also warns against investing in ‘Pods’ as opposed to individual self-contained units. This trend, he says, poses a threat to resale down the line as banks may not lend for standard student rooms. As most property investors will know, investing in the wrong location is always questionable. If you purchase cheaper accommodation, away from a city centre campus, you obviously won’t have queues of undergrads knocking down your door looking to rent. PDR Property Solutions advises investors to look to the top end of the market when considering investing in UK student accommodation. It also suggests choosing a product that is self-contained and fully managed. This serves both the student and the property owner best. The initial investment outlay will obviously be greater, but Rossiter feels this is a sector that is set for steady growth as it caters to the burgeoning foreign student population, as opposed to the indigenous population. This sector of the student population is set to grow as the UK is seen as a safe, affordable and prestigious place in which to obtain higher education. The number of overseas applicants for study in the UK is expected to rise significantly over the next decade. This sector, in general, has access to higher budgets so quality becomes a deciding factor. Rossiter says; “Foreign students will typically only live in top-end accommodation. They do not want low-grade property with poor finishing and facilities. Instead they want modern comforts, security, communal facilities, high speed internet and proximity to the faculty in question.” This scenario, he says, also suits the investor as returns are higher and there are also suggestions from owners that international students make more reliable tenants. They are, it seems, more likely to stay in the same accommodation for the duration of their course rather than moving each year like their domestic counterparts. One of the reasons why investing in UK student accommodation is particularly popular at the moment is that the sector thrives in a recession. Many young people see higher education as a way of getting extra skills and an ‘edge’ over their peers for when the job market picks up. Student housing supply in the UK remains on the low side, particularly at the quality end of the spectrum, and as a result term-time vacancy rates are quite low, ranging from 1% to 4%, which about a third of the vacancy rate in other buy-to-let scenarios. Contracts are generally signed for 48 weeks a year with parents often acting as guarantors. 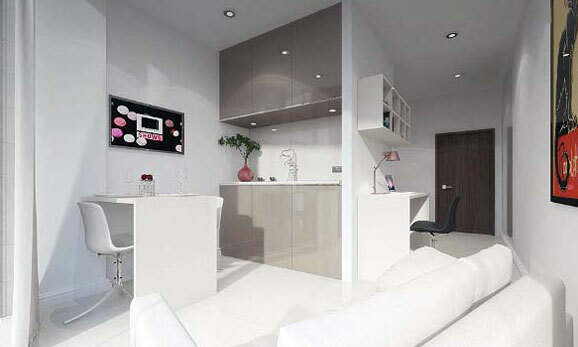 Contrary to popular perception, investing in UK student accommodation is not limited to London. Many of Britain’s secondary cities have respected universities with huge student populations. While a stream of potential tenants is still available, the entry level costs are obviously lower than they would be in London. As an example, Liverpool is a city that many investors would not even consider. The city, however, hosts over 50,000 students, 6,000 of these from overseas, with three leading universities, a language academy, an institute of performing arts and a school of tropical medicine. The city offers a lot for those investing in UK student accommodation. 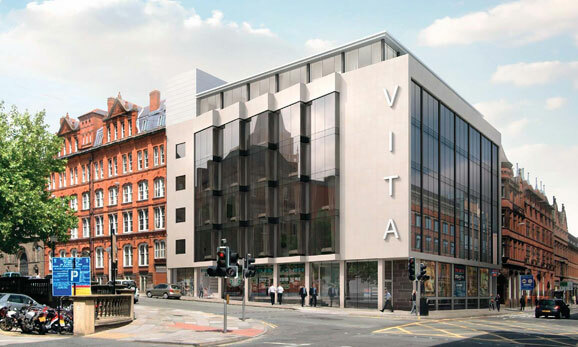 Vita at Tinlings in Liverpool is the second phase of a £27 million redevelopment project which follows the success of Vita at The Chapel, launched in March 2012 and now completely sold out. With a total of 120 units, Vita at Tinlings is a complete re-model of the previously iconic Tinlings building built in the early 1960’s and it dominates Victoria Street, the major route through the heart of the city – postcode L1. Visually striking, the entire building is glazed with a modern curtain walling system and with aspects to three sides, its exterior shines out on to its city surroundings. As well as providing a focal point for Vita residents to meet and relax in its spacious lounge area, the communal area of Tinlings will include entertainment spaces housing pool tables and a video game station alongside a fitness centre featuring state-of-the-art equipment. There are also to be spaces designated for study with workstations and group study areas including breakaway rooms to encourage collaborative learning. Rossiter concludes: “For the investor, Vita at Tinlings offers a hassle-free, fully managed property investment with assured returns. Investors have a choice of self-contained studios and a select number of two, three and four bedroom suites. Prices start from £60,450 and a six year non-status payment plan is in place for improved financial accessibility. For more information contact PDR Property Solutions on telephone 0044 203 440 6600, email info@pdrpropertysolutions.com or visit www.pdrpropertysolutions.com.